The once-famous Hotel Iberia was where society’s finest gathered in the days before 1859 when Victory, Louisiana became a ghost town. A building where people had laughed, dined and passed the time among friends became something dark, sinister and evil. The town was dead, so no one complained when the Victory Institution for the Criminally Insane opened in the old hotel. The state sent its problems to the Asylum — violent, disturbed men who entered the gates of hell and never came back. Hundreds died inside those walls before scandal closed the prison in 1907 and the corpses of those forgotten men were buried in a cemetery at the back of the property. For a century, the building has been abandoned. But only by the living. The dead couldn’t leave. Their tormented spirits couldn’t escape the horrors they had experienced. Unspeakable things kept them locked in the ancient cell blocks, doomed to haunt the building forever. Rookie deputy sheriff Landry Drake spends a frightening afternoon inside the Asylum, investigates a series of apparently unrelated, unsolved murders inside the prison. He and a friend are caught in a trap. Kidnapped and chained in the old prison’s underground torture chamber, they know what fate awaits them at the hands of a maniacal sociopath. He’s killed many times before, and they will be next. 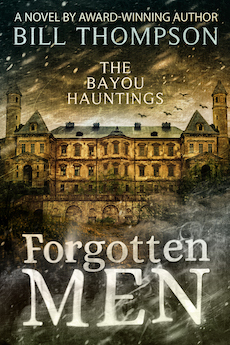 Landry must solve a puzzle before more people die, and he must find a way to keep himself from becoming the next name on the list of terrifying crimes at the Asylum. I've set a reading goal.